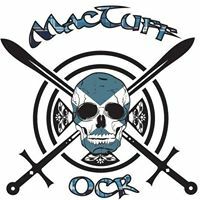 No reviews yet for Fife United Kingdom MacTuff 2019. Click here to be the first! If you think you’ve got what it takes to take on MacTuff you can sign up here for our 2019 event. Fancy tackling the course as a team? Then sign up here. As a result, we guarantee a day of fun, fear conquering obstacles, team work, and triumph. We look forward to seeing you on the Start Line…Tartan optional, game face mandatory! Scotland’s toughest obstacle course race is a test of 7,15 or 22k of challenging terrain; through mud, water and obstacles built to test your physical strength and your mental grit because we believe that true character is built through true challenge. Please see our obstacle course race discount & promotion page for all the latest discounts, promos, promotions, discount codes, and coupon codes for Fife United Kingdom MacTuff 2019. There also may be one listed at the top of this page.